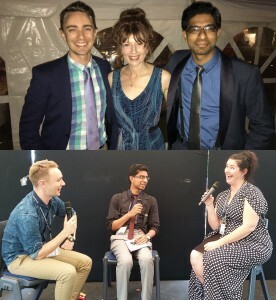 In the first of a series of podcasts recorded live at the Somerset Celebration of Literature, Joel and Ian talk to Alison Goodman and Rachael Craw. Rachael Craw is about to release Shield, the last book in her YA trilogy, The Spark. Both make for great guests, and there’s more to come in the following weeks.